Having a baby is a life-changing event, but it isn’t plain sailing. Along with the usual ups and downs of new parenthood, and the hormone-charged ‘baby blues’ that can appear for a few weeks, many mums and dads will suffer from more intense lows that need proper mental health treatment, and support from friends. You don’t need to be a parent to spot the signs that someone may have antenatal or postnatal depression (collectively known as perinatal depression). Being there for your friend means looking out for their mental health, as well as basking in the joys of a new baby. We’re lucky that today’s internet age gives us a huge range of tools at our fingertips, making it easier to connect to the right resources for any mental health condition, but the person experiencing symptoms may find it hard to reach out for help. That’s where you come in. A short video called Perinatal Positivity is a good starting point for you: it includes voiceovers from women and men who have experienced perinatal depression. The blog PND and Me (voted Blog of the Year at the Mind Media Awards 2016) offers another first-person perspective. Its author, Rosey, also hosts a weekly Twitter chat called #PNDHour, every Wednesday from 8-9pm. It’s important to get your friend to talk honestly about how they feel. Midwives, health visitors and doctors are all trained to spot the signs of antenatal and postnatal depression, but your friend may need support to open up. Parents can feel a lot of pressure to be perfect, and to pretend they aren’t struggling. If you take a friend to be clinically assessed for perinatal depression, you may find the appointment involves filling out the Edinburgh Postnatal Depression Scale (EPDS), which was developed in 1987 to identify key thought patterns in women with PND. This questionnaire has to be accompanied by a proper discussion with the patient – it doesn’t give a diagnosis on its own. Treatment will vary, but typically includes talking therapy. Cognitive Behavioural Therapy (CBT) is the most common approach, and will help to break down the thought patterns contributing to the depression. Medication may also be recommended, and a doctor will make sure any anti-depressant is suitable if the mother is breastfeeding. Getting your friend to support groups and parenting groups can also help them to adjust; for example, mothers in East Lothian can access a new befriending programme. Meanwhile, in January 2018 the British Journal of Psychiatry published a study from the Centre for Performance Science that recommends group singing as an alternative therapy for moderate to severe symptoms of PND. Only 1 in 4 mothers with PND still identify as being depressed a year after childbirth, and more help is out there than ever before. Most mothers find it takes 3-6 months for symptoms to ease. Remind your friend they will get better – as the saying goes, ‘This too shall pass’. 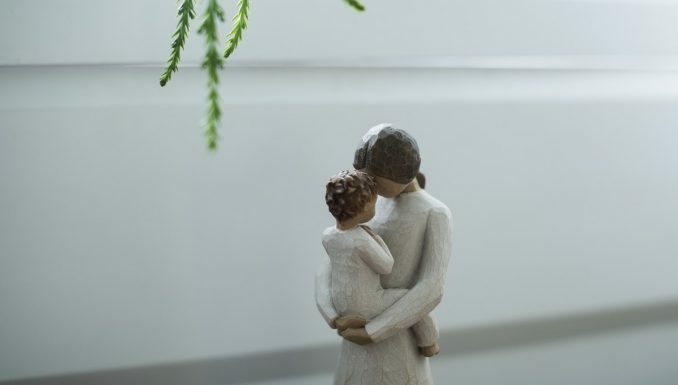 Postpartum psychosis can also affect a much smaller proportion of new mothers (1 in every 1,000) and this requires more specialist treatment, with patients suffering delusions and hallucinations. It is very important to seek urgent medical help if you suspect your friend has postpartum psychosis; call 111, see a GP, visit A&E or call 999 if you believe your friend may harm themselves or their baby. People often assume perinatal mental health issues only affect the woman giving birth, but their partners can also experience them. You may have heard of a ‘sympathetic pregnancy’, where the partner of an expectant woman starts to feel typical pregnancy symptoms, such as back pain, tiredness and tearfulness, despite not carrying the child themselves. Perinatal depression can similarly stretch to affect partners, so try to be mindful of their mental health as well. Earlier this year, the BBC covered a story of one father’s postnatal depression that sadly led to him completing suicide. With awareness being raised about men’s postnatal depression, hopefully other men in distress can find the help they need to recover.